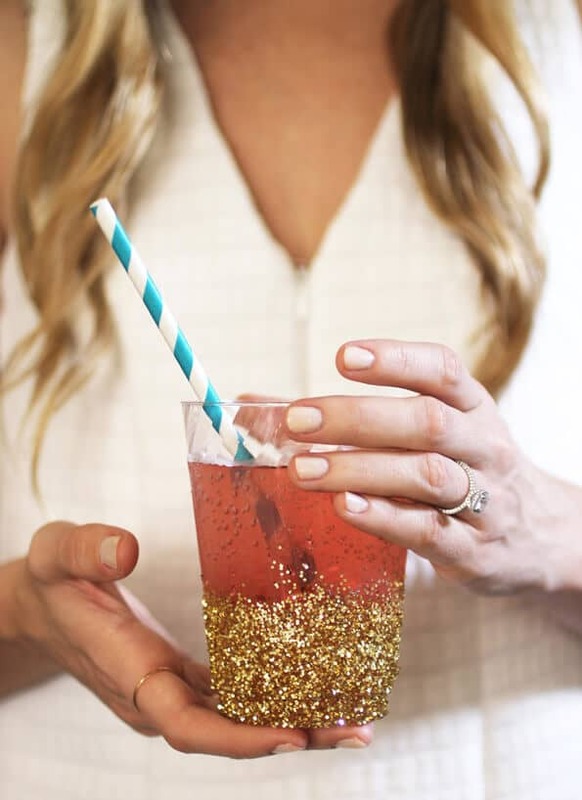 Now that you’re engaged, it’s time to think about your engagement party and engagement party decoration ideas! 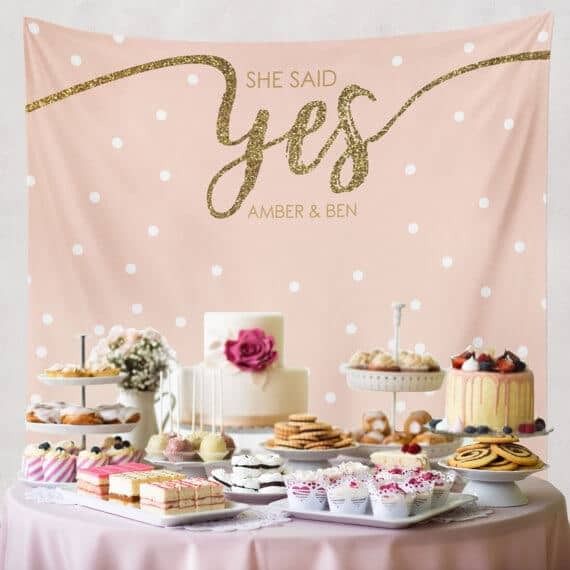 This is certainly an exciting time, but you may be wondering how to find unique and interesting decorations or how to stick to your budget when you have so many other wedding expenses to think about. 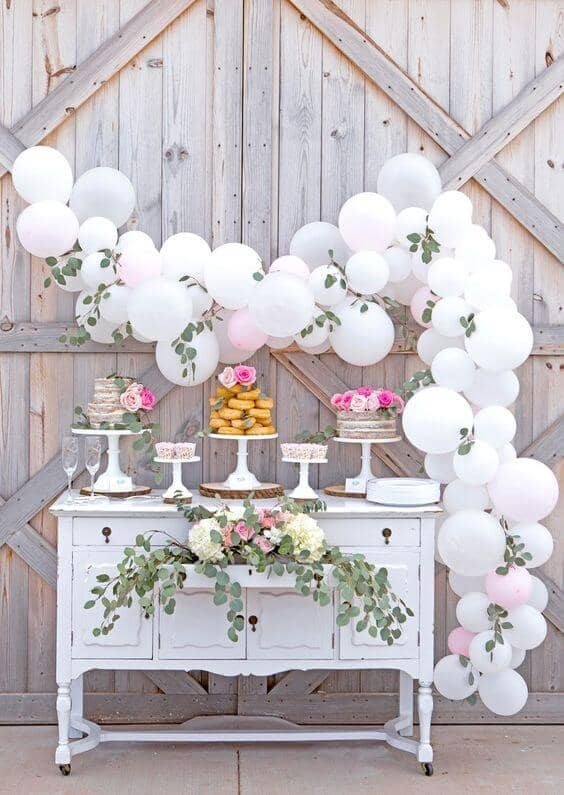 With the right tools and ideas, you can actually make many of your engagement party decorations on your own or with the help of friends and family. 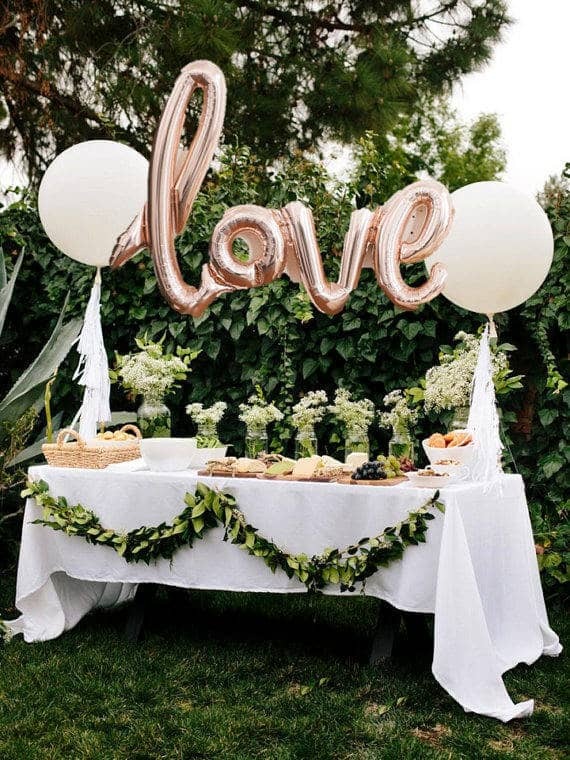 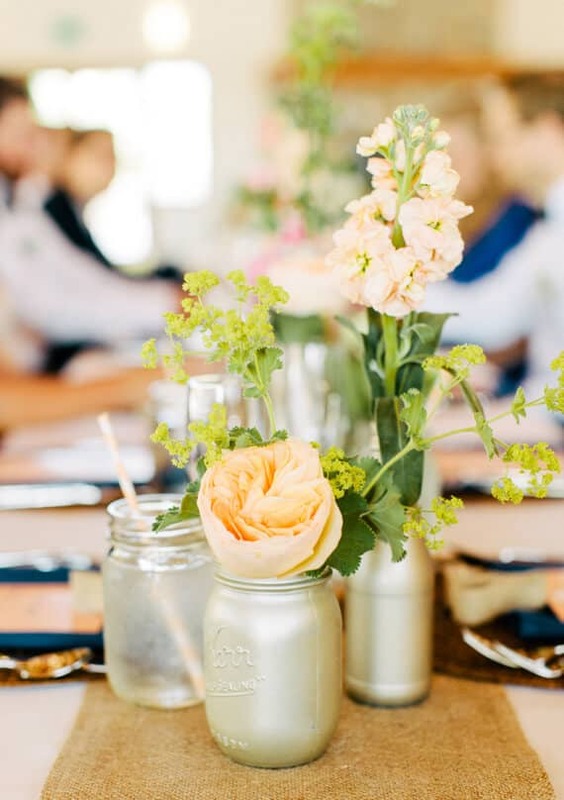 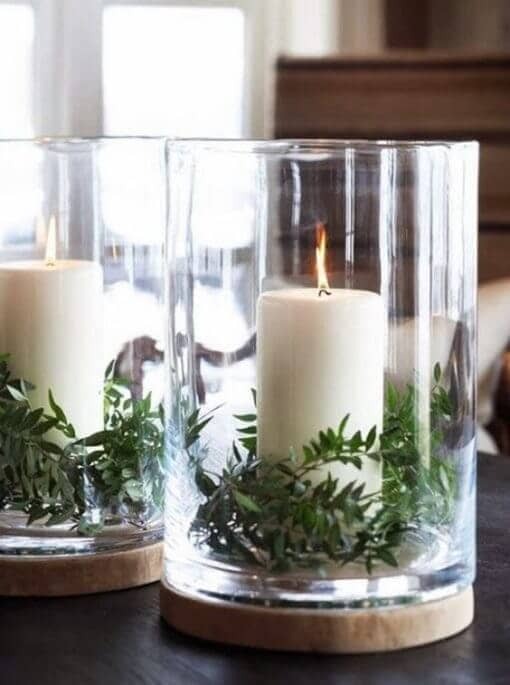 Natural and minimal decorations are definitely on trend, so it has never been easier to create a serene atmosphere for your engagement party guests. 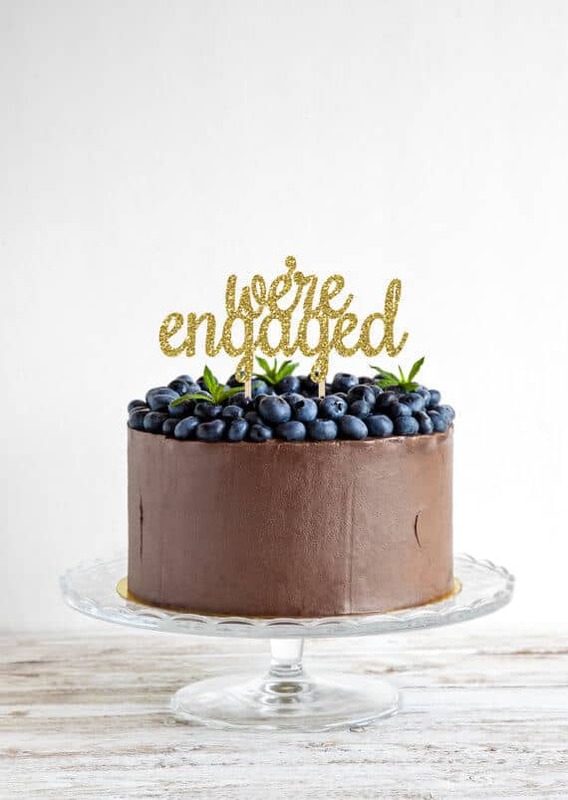 You and your loved ones can relax and celebrate your exciting news whilst setting the mood for your upcoming nuptials. 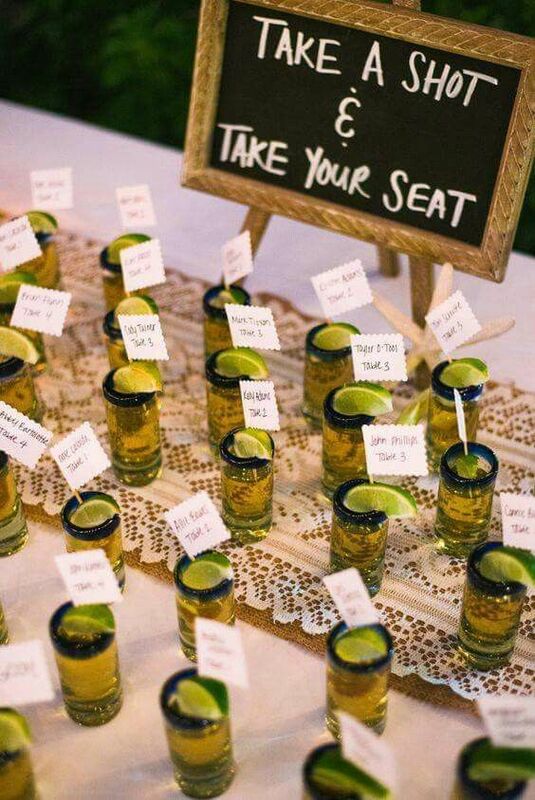 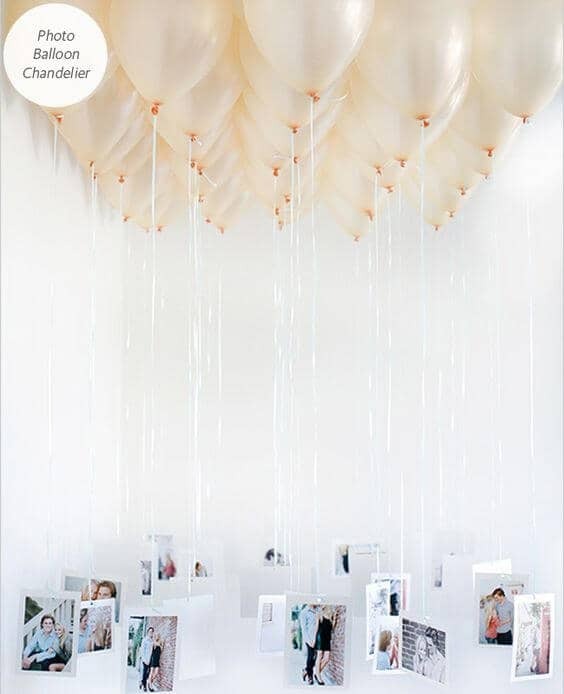 Whether you are looking for ways to create intimate engagement party seating arrangements or unique ideas to create your own decorations, you will surely find something that pleases your eye and your wallet. 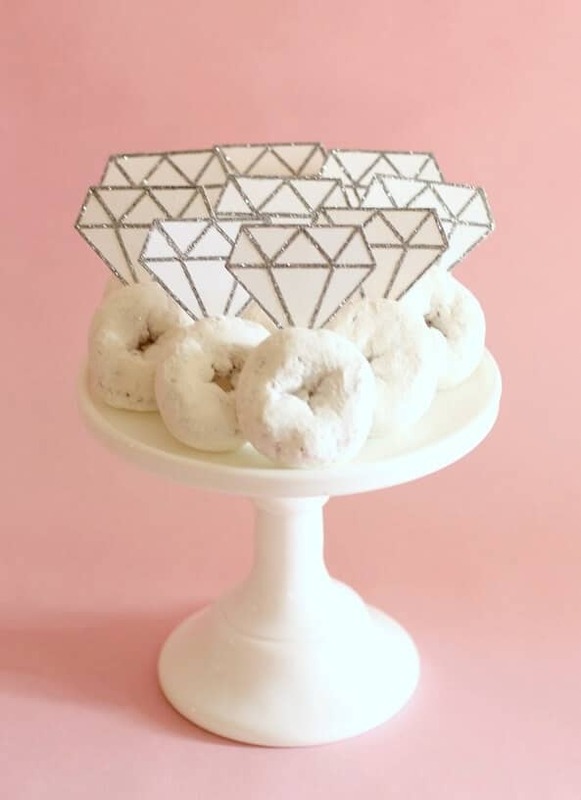 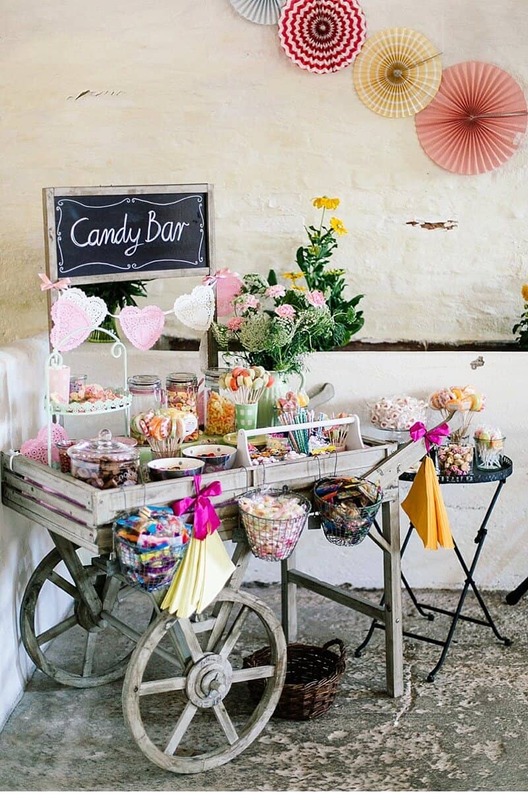 Let your creative side run wild when creating these memorable photo displays, attractive dessert tables, and unique centerpieces. 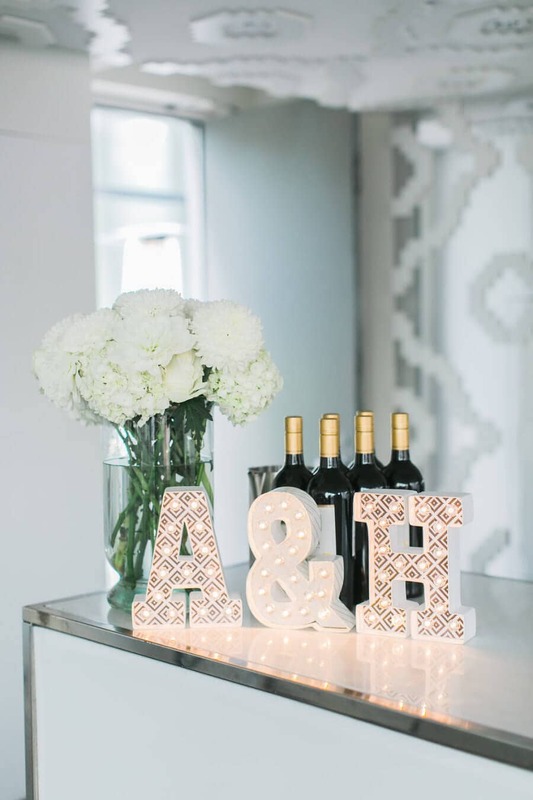 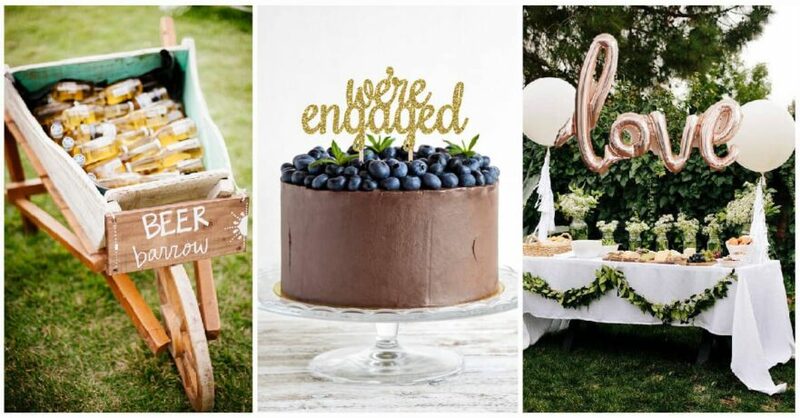 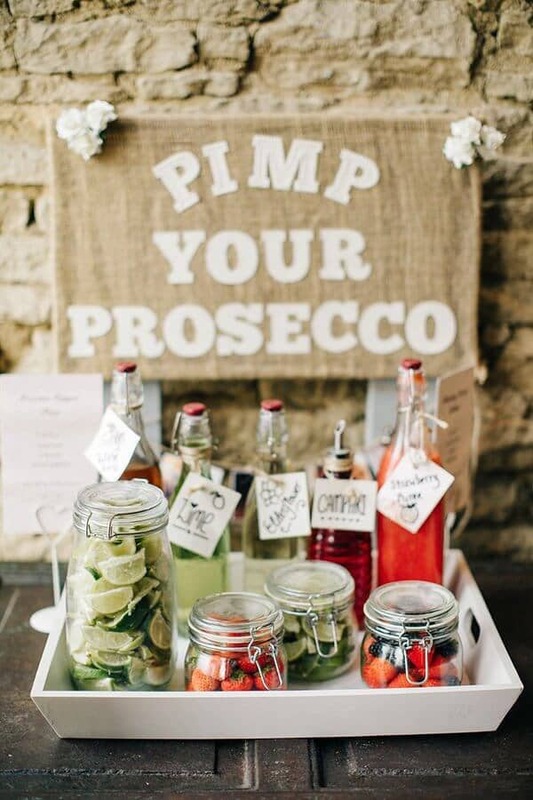 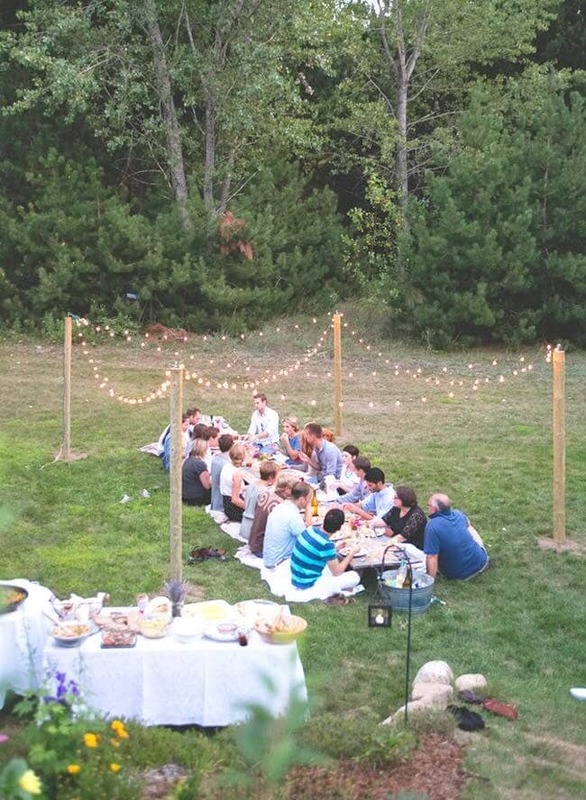 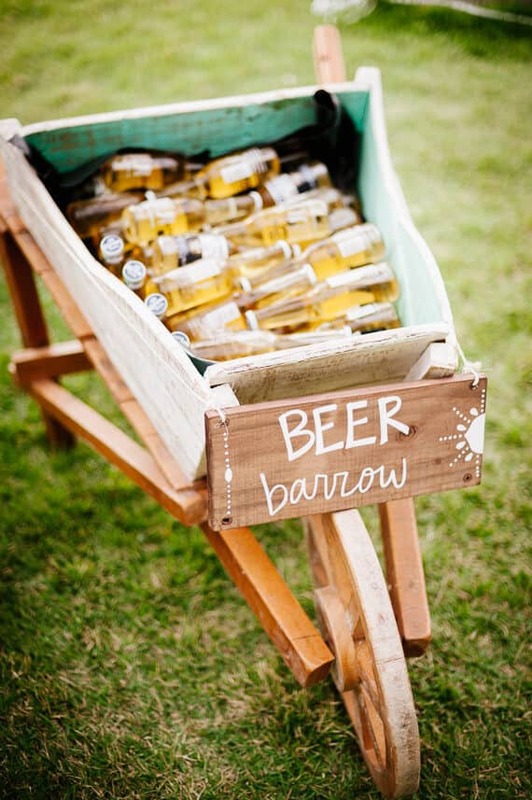 With these ideas, there are many ways to create the engagement party of your dreams. 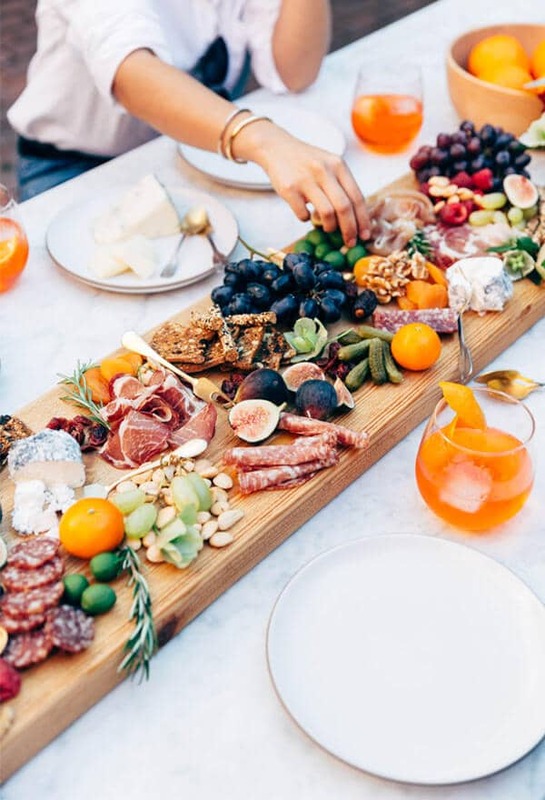 Make your party guests feel right at home with these amazing food and beverage setups to encourage easy access to refreshments. 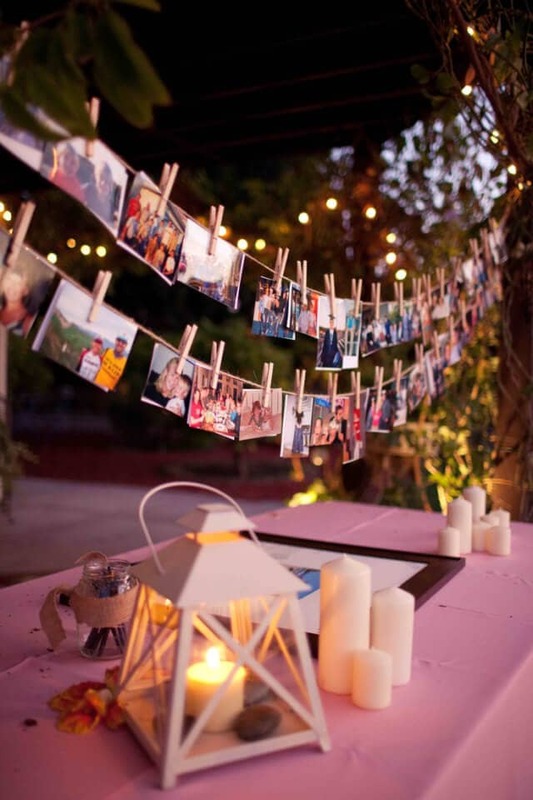 You can also inspire your guests to become interactive with the party by incorporating a creative Polaroid photo booth prop. 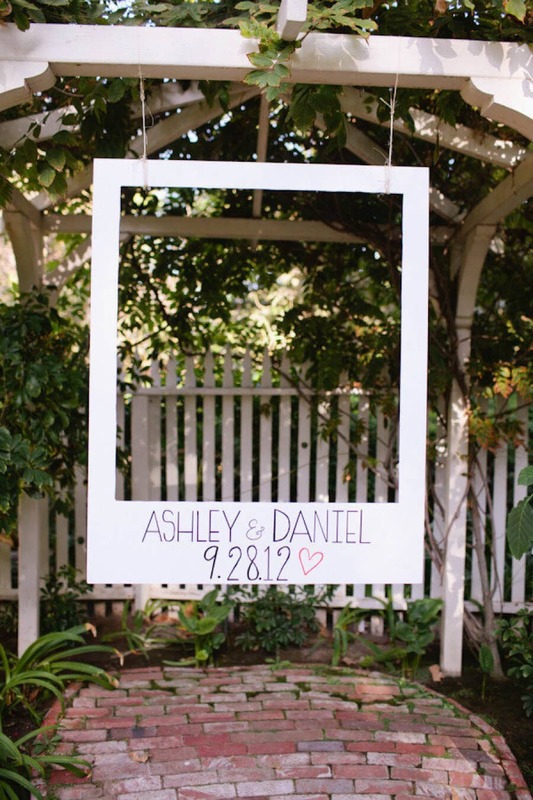 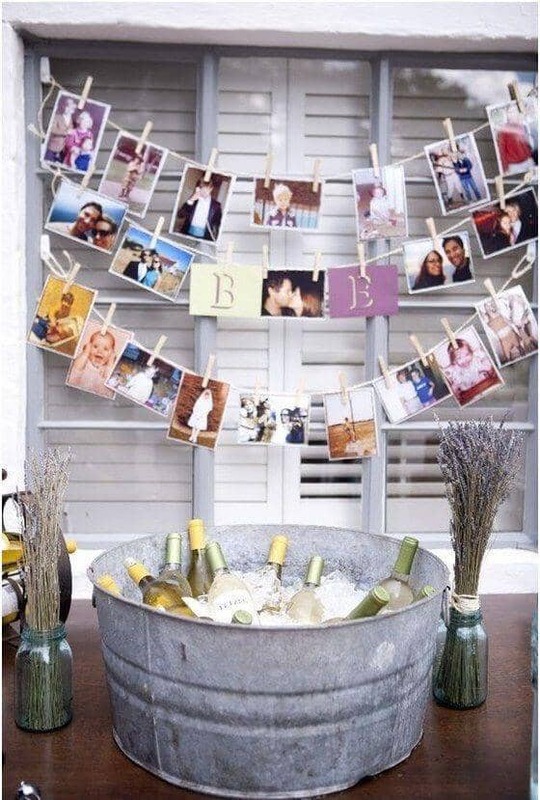 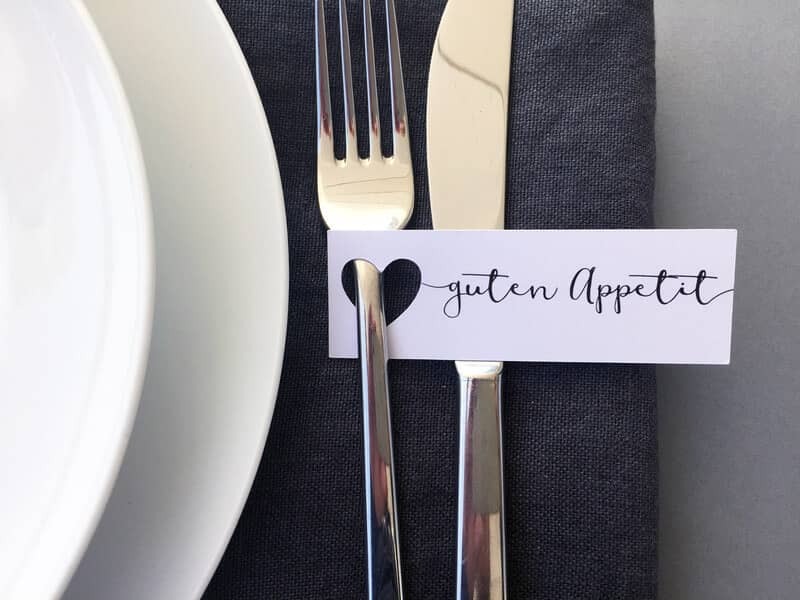 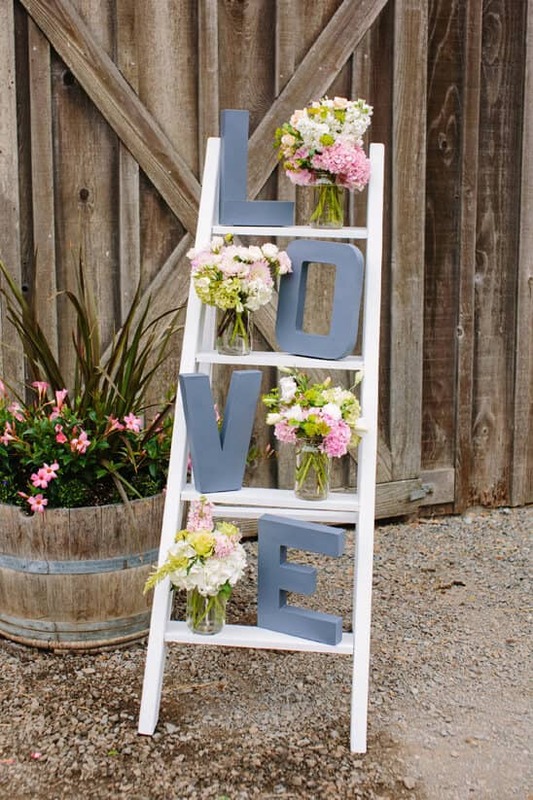 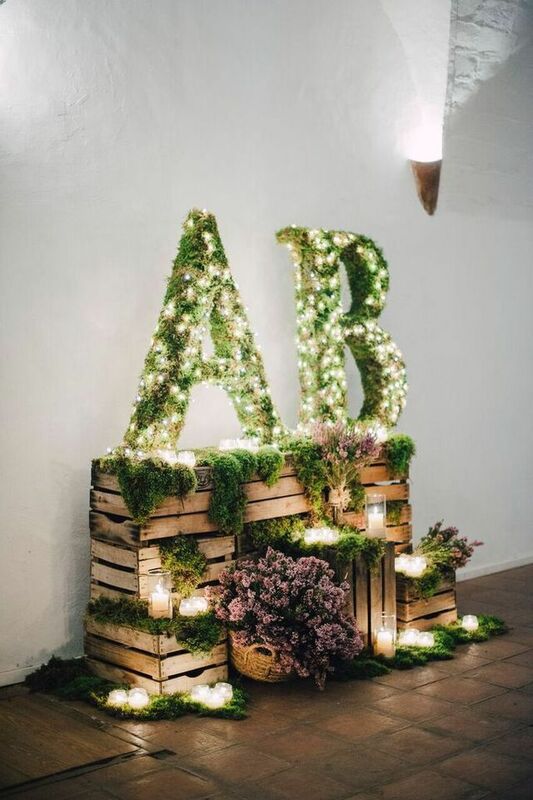 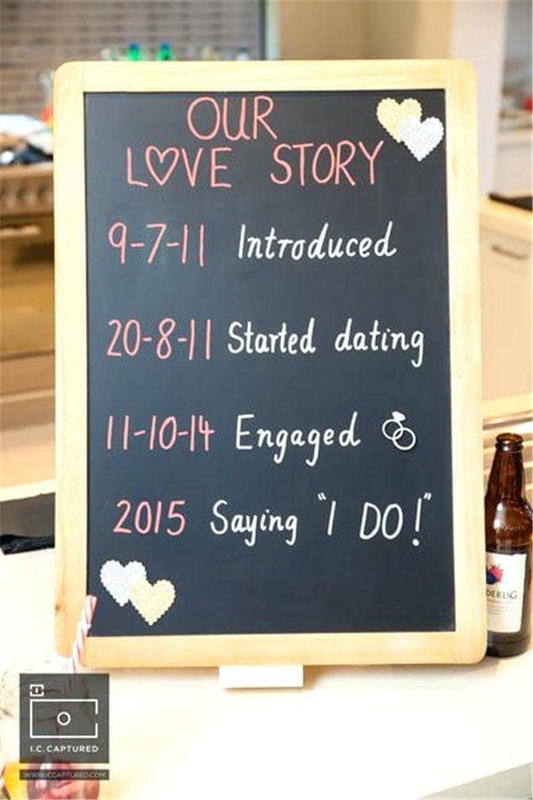 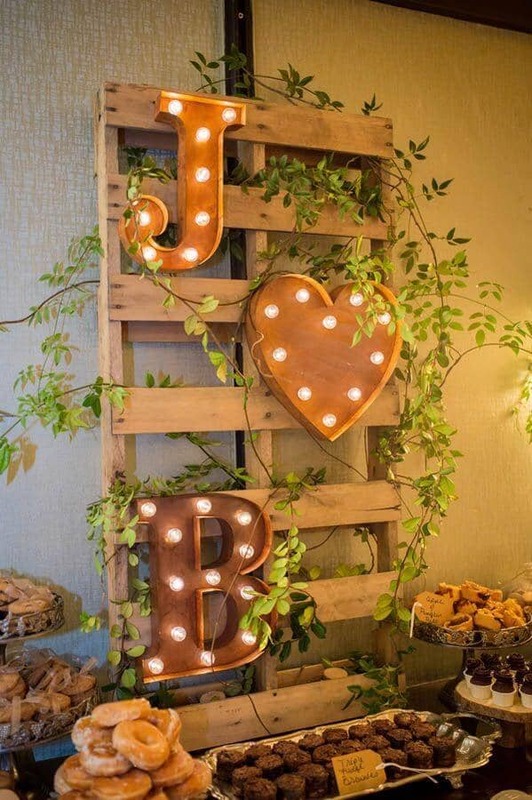 Whether you choose to use a simple clothespin photo display or create a hand-lettered love story timeline, your guests will surely appreciate the thought and sincerity that you place in each of your engagement party decorations.